Community Service Day, also known as National Day of Community Service or Community Day of Service, is a public holiday in Dominica celebrated on November 4. It is a nationwide clean-up that follows Independence Day celebrations. On November 4 (or the following Monday/Tuesday if Community Service Day falls on a weekend) Dominicans from all around the island participate in community projects. 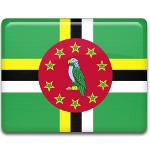 The government of Dominica provides assistance to communities, encouraging them to undertake specific projects, but ultimately communities are free to choose any project to engage in. Community Service Day used to focus on clean-up campaigns, but currently much attention is also paid to beautification initiatives. Every year, the government allocates considerable sums of money to improvement committees and village councils. The money is spent on gloves and garbage bags, flowers and plants, transportation, and garbage disposal. Budget allocations depend on proposals submitted by community groups. National Day of Community Service aims to promote volunteering, especially among young people, and build stronger communities. It is an opportunity for everyone to contribute to their community.